Dharamshala: The state government of Arunachal Pradesh and Central Tibetan Administration (CTA) jointly launched an exchange program to promote cultural exchange and ties among students. The programme primarily focuses on enhancing and strengthening the relationship between the two governments and its people given the historical background of Tibet-Tawang relations vis-a-vis their shared religious and cultural bonds. 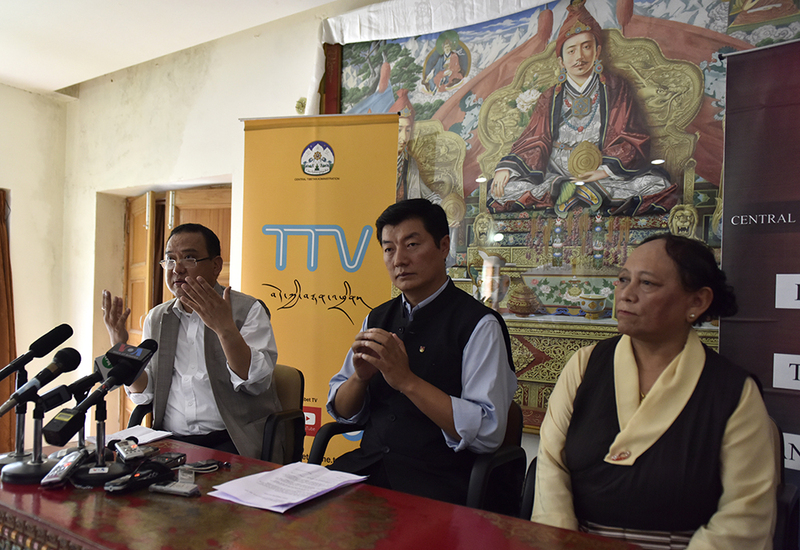 Addressing the gathering, Jamphel Wangdue conveyed the purpose of his visit to Dharamsala. He informed that under the exchange programme ten students from Arunachal Pradesh have joined the Tibetan Institute of Performing Arts to gain knowledge and practical experiences of Tibetan culture and traditions. Jamphel Wangdue also discussed briefly about the ongoing conflict in Arunachal Pradesh terming it a sad turn of events and assured to hold a meeting on 12 August to discuss about finding a resolution to the problem that persist. President Dr Lobsang Sangay thanked the state government of Arunachal Pradesh and the Chief Minister Pema Khandu and Monpa community for their unwavering support to Tibetans living in Arunachal Pradesh. Tsewang Dolma Shosur, Additional Secretary of the Department of Home affirmed that the current predicament facing Tibetans in Arunachal is not as dire as portrayed in social media platforms and therefore advised the public to avoid the spread of such exaggerated content which is solely aimed at creating communal discord.